Heinrich Morf (1854-1921) was a Swiss scholar specialist of Romance (Arpitan and Rhetic) dialectology and Old Occitan. In 1910 he started teaching Romance philology in the University of Berlin. In 1911 he became a member of the Royal Prussian Academy of Sciences. The lecture he made about the Old Occitan literary language (“Vom Ursprung der provenzalischen Schriftsprache”) was published in the 1912 issue of the Sitzungsberichte der königlich Preussischen Akademie der Wissenschaften. 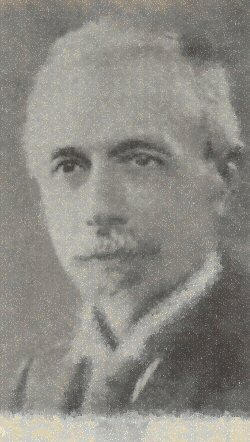 In 1913, the Revue des Langues Romanes published two reviews, one by Giulio Bertoni, the other by Juli Ronjat. They correct some statements from Morf. For instance, Ronjat notes the word lemosin stands for the whole Old Provençal (Occitan) language. The pages from the Sitzungsberichte der königlich Preussischen Akademie der Wissenschaften were extracted from the digitalization made by the Internet Archive website. Snapshots taken from the Revue des Langues Romanes come from the Bibliothèque Nationale de France (Gallica website). Click here to read or download Friedrich Morfs’s Vom Ursprung der provenzalischen Schriftsprache, and the related reviews (#107 of the Documents pour l’étude de la langue occitane series) from the IEO Paris website. From the very beginning of his leadership of the Félibrige, Frederic Mistral was involved in the Armana Prouvençau yearly publication. He often used aliases, like “lou Felibre de Bello-Visto”. In 1856, he published a 4-page introduction to the “Provençal language” with some interesting statements on dialects. He counted then four of them, Rhône, Marseilles, Languedocian, and Gascon. We have used this opportunity to add some items of Mistral’s huge Occitan-French dictionary (lou Tresor dóu Felibrige) to display Mistral’s vision of the language and of its variation. It is obvious that Mistral has a broad vision of the language of Oc or Provençal encompassing what we call now Occitan, but also, to some extent, the Catalan language. Pages from the Armana Prouvençau were extracted from the digitalization made by the Bibliothèque Nationale de France (Gallica website). Snapshots taken from the Tresor dóu Felibrige come from the high quality digiltalization published on the Occitanica website. Click here to read or download Frederic Mistral’s 1856 texts on the Provençal Language or Langue d’Oc (#106 of the Documents pour l’étude de la langue occitane series) from the IEO Paris website. languedociens les plus difficiles à rendre en François. Contenant un recueil des principales fautes que commettent dans la diction, & dans la Prononciation Françoise, les Habitants des Provinces Méridionales du Royaume, connus à Paris sous le nom de Gascons. Avec un petit Traite de Prononciation & de Prosodie Languedocienne. Ouvrage enrichi dans quelques-uns de ses articles de notes historiques et grammaticales, et d’observations de physique et d’histoire naturelle. Such a title highlights both the uncertain naming of the Occitan language at that time, and its unity as perceived by the abbot (see the Franchimand entry extract we printed on the cover). Our edition is split into two parts. The first one includes letters A-D and a review by François Raynouard (in the Journal des Savants March 1824 issue) of the third edition of that dictionary, edited by the abbot’s great-nephew in 1820-1821 (already published in our series). The second part includes letters E-Z. The dictionary was digitized by the Internet Archive. The Journal des Savants extract comes from Google Books. Click here to read or downloard Abbot de Sauvage’s 1756 Dictionnaire languedocien-françois A-D (# 104 of the Documents pour l’étude de la langue occitane series) from the IEO Paris website. Click here to read or downloard Abbot de Sauvage’s 1756 Dictionnaire languedocien-françois E-Z (# 105 of the Documents pour l’étude de la langue occitane series) from the IEO Paris website. This Occitanian Phonetics was issued in the Revue de la Haute Auvergne, in 1904. It is one of the most interesting linguistical works of abbot Four, who died young during the World War I. Raymond Four had a clear view of the position of the Aurillac dialect in the West Central Occitan (generally called Languedocian). At the end of the text there is even a poem by Four about the great occitan poet from that particular area, Arsèni Vermenosa. This volume also includes a necrology of abbot Four published in the 1918 issue of the Revue de la Haute Auvergne. Source PDF pages were extracted from the Gallica (Bibliothèque Nationale de France) web site. Click here to read or downloard Raymond Four’s Phonétique occitanienne (# 103 of the Documents pour l’étude de la langue occitane series) from the IEO Paris website. The fourth volume of the DELO collection is a history of Occitan litterature in the Middle Ages. That book was published in French by Josèp Anglada (Joseph Anglade, 1868-1930), an Occitan scholar who was one of the founders and the first President of the Societat d’Estudis Occitans (1930). In this history, he advocates the use of Occitan as the name for our language. This book, first published in 1921, is now public domain according to the French law that applies. The third issue of our collection is a XIXth century dictionary of the tongue of Bearn, by Vastin Lespy and Paul Raymond. In a strange mix of Old Occitan and Modern Occitan, the authors give a quite comprehensive vision of the Occitan language spoken in the former independent principality of Bearn. The dictionary gives the French translation of the Occitan entries. Read it or download it from on our site (PDF format). Read it on The Internet Archive. The second issue of our collection of documents about the Occitan language is the reedition of another book of Albert Dauzat (Garait, Occitania, 4th July 1877-Paris, France, 30th October1955) about the Lower Auvergne Occitan dialect. This book is written in French and was originally published in 1915. We used a University of Toronto original digitized by The Internet Archive. Dauzat lists around 5000 words, most of them he got from his own grandmother, born 1836. He tries to date them with the help of phonetic change chronological data.